While we missed Vendimia in Chile and couldn’t get a room when it was in full celebration in Mendoza, we figured it’s time to take in the best of Argentina’s fabled Mendoza wine region. Perhaps most widely known for Malbec, one of the five bordeaux valrietals, Mendoza is made up of a number of appellations and micro-climates. 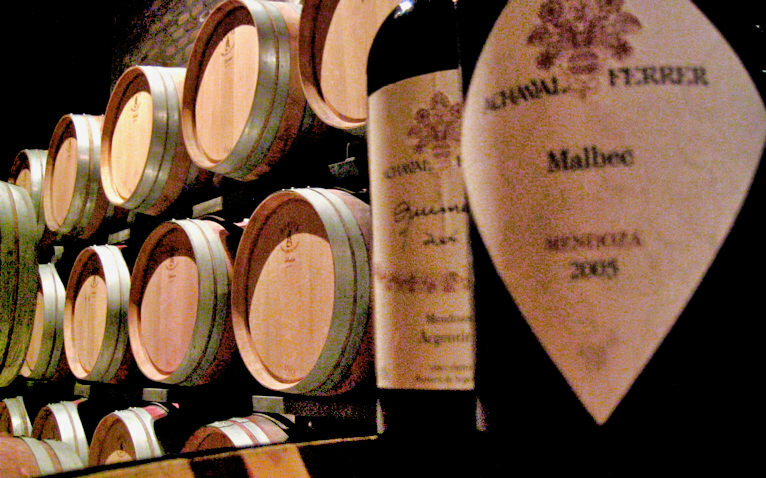 Mendoza is the center of Argentina’s wine industry and is the fourth-largest wine producing region in the world. 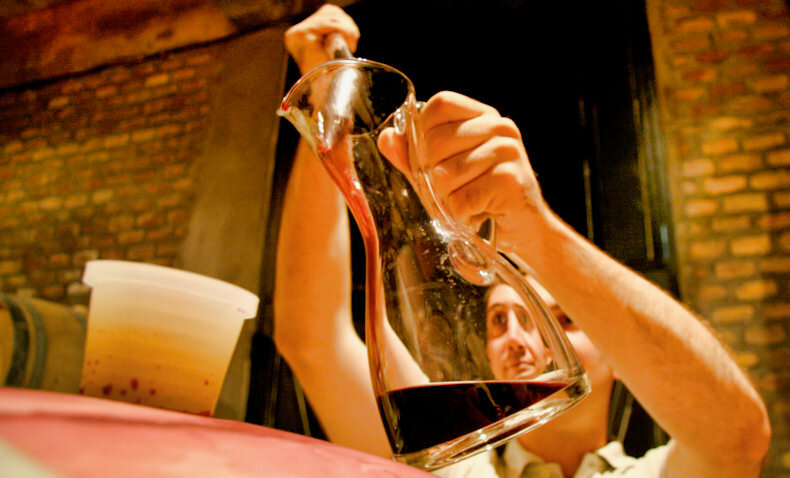 Mendoza is also Argentina’s fourth-largest city and accounts for approximately 70% of the country’s total wine production. And less than 100 miles sits Aconcagua, the highest mountain peak in the Americas (6.959 m. / 22,841ft) And because of its proximity to the great mountain range, Mendoza is crossed by several important rivers, carrying snowmelt water from the Andes, which is funneled since Incas times into an intricate irrigation system used by the growers and wineries. When we arrived to Mendoza, harvest was in full swing. Even better, Tim through frequent flyer points and good negotiations, we were able to stay at the 19th century Plaza Hotel on the plaza and now managed by Hyatt International and called the Park Hyatt Plaza Hotel. The location is phenomenal right on the plaza in downtown Mendoza. But unlike Chile’s Colchagua Valley, Mendoza’s wine regions and the various wineries and bodegas are spread widely apart. Finding some of the remote facilities would be rather difficult. 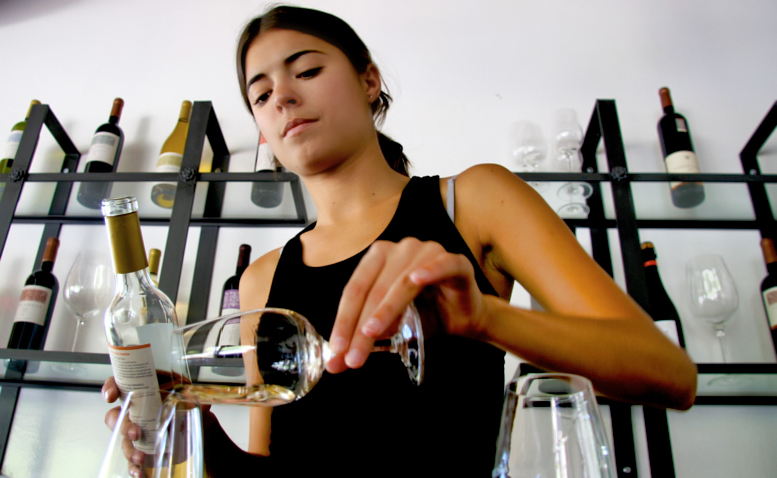 So to make our stay more productive, easy and certainly more rewarding, we enlisted the good folks at Vines of Mendoza to help us arrange tours, tastings, lunches and appointments. Because I spent a couple days here in December, I still had a business card of a driver who we enlisted to take us to the various bodegas. 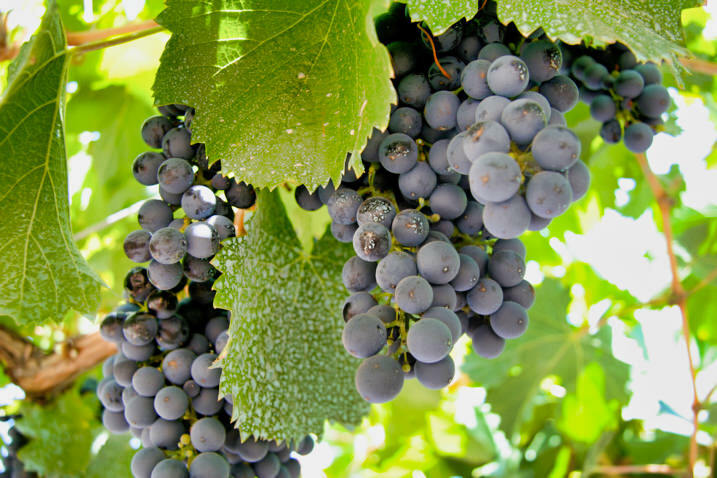 It’s hard to compare Chile with Argentina in terms of the wine region. On one hand, the region closest to Mendoza sits more in the local community and the wineries irrigate their vineyards using 500 year old irrigation channels set up by early settlers here. 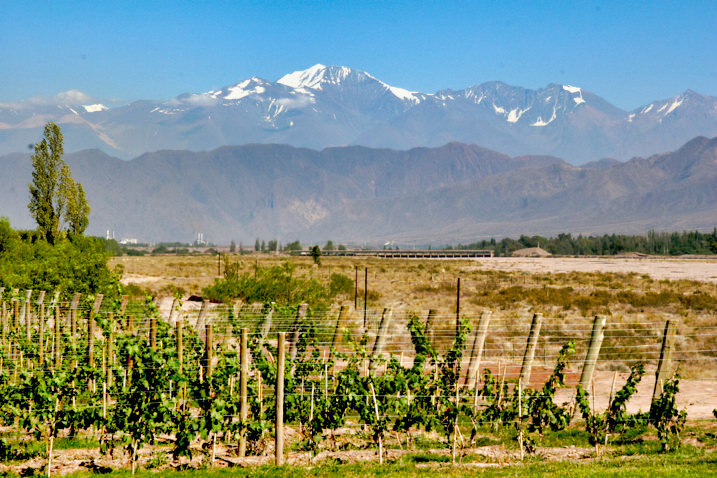 The backdrop of these vineyards is nothing less than spectacular with the huge snowcapped peaks of the Andes ever so present. Vineyards and wineries we visited while in Mendoza included Achaval-Ferrer, Catena Zapata, Vina Amalia, Santa Julia and Familia Zuccardi, and Carmelo Patti. Looking out at the Andex and vineyards of Achaval-Ferrer. Just to the right is the Mendoza River which when floodgates are opened provides irrigation for vines in this region of Mendoza. It’s harvest and the grapes are looking incredibly ripe and tasty. The next photos will be a quick fast-guide tour through the harvest process. Here the grapes are unloaded trucks from bins that harvest workers use to collect the hand-picked grapes. And they are put into a de-stemmer machine. 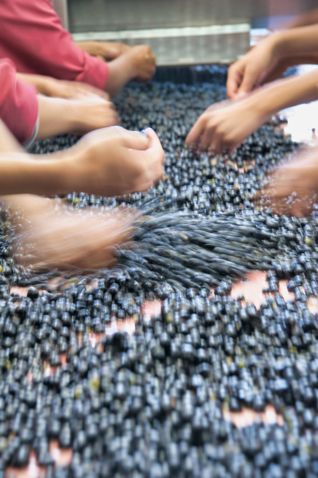 After the grames are de-stemmed, Achaval-Ferrer workers go through the laborious process of hand-sorting the grapes removing any unripe or unsatisfactory grapes before sending them into the tanks. 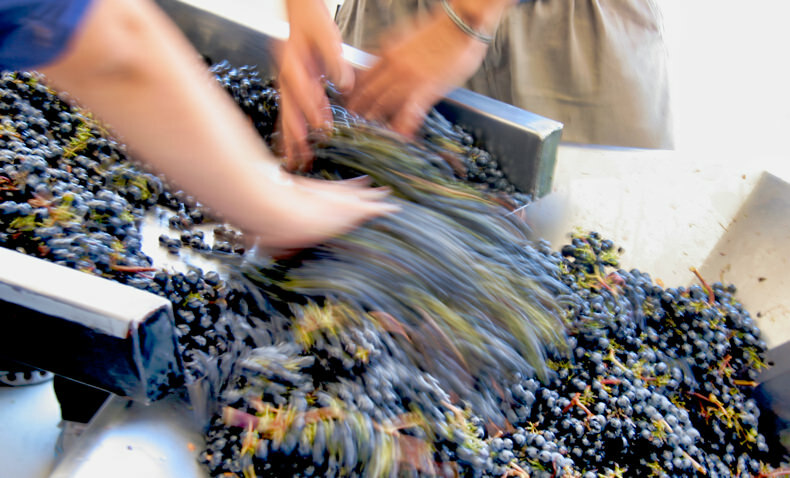 The sorted grapes are then put into stainless steel fermentation tanks where the grapes are crushed simply using gravity and the weight of the grapes. 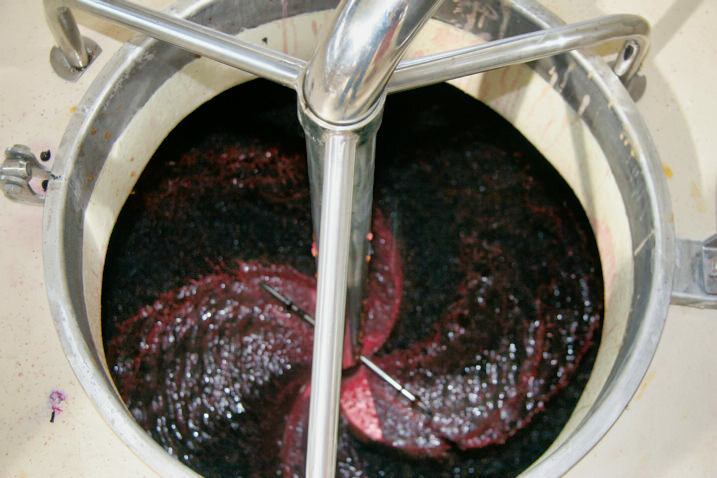 While the juice remains below after time the grapes rise to the top of the tank. 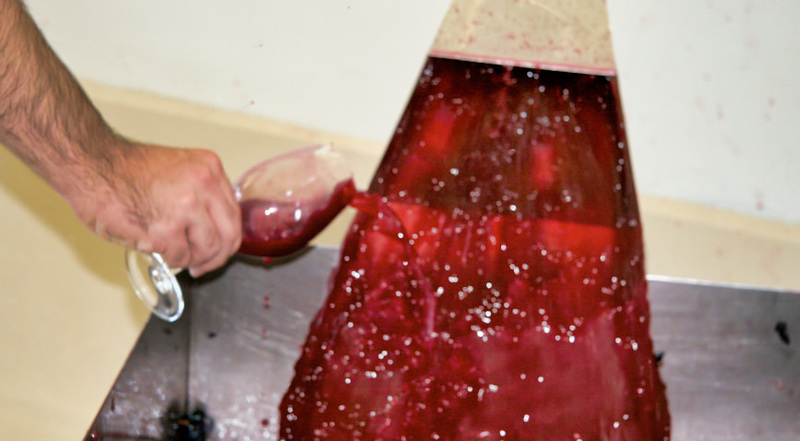 The gathering grapes form a “cap” at the top of the tank and this is manually punched back down to the bottom to ensure full concentration and color. 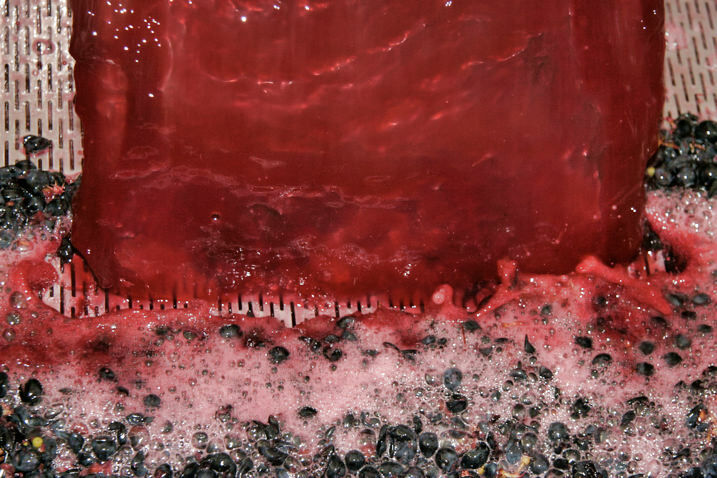 The wine (grape juice) goes through a fermentation process anywhere from 7-21 days. After which the wine may sit in the tanks or depending on the type of grape and quality of the wine will be moved into small French or American oak barrels. 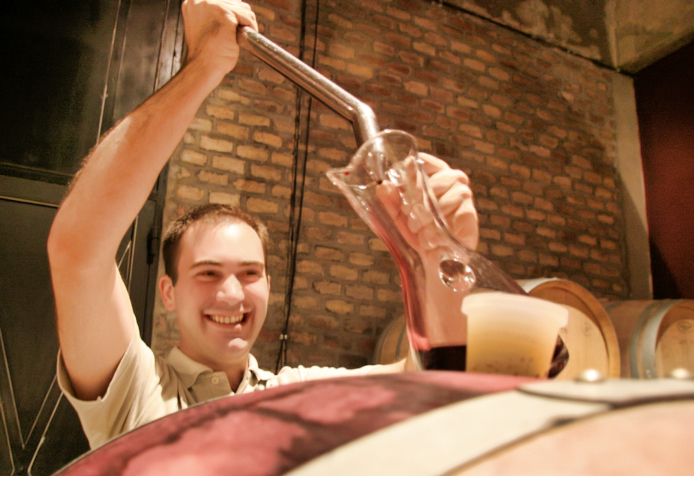 Here we actually taste the wine before it’s been through the entire fermentation. It tastes nothing like wine, but it’s a good test to taste the acidity and the sugar level of the juice. Then we are treated with barrel samples of some of Achaval-Ferrer’s top wines from 3 different Mendoza micro-climates. Again, depending on the quality, type of grape and production the wine will sit in barrels at Achaval-Ferrer anywhere from 9-24 months. Some of Achaval-Ferrer wines sell for more than $100 per bottle in the USA. 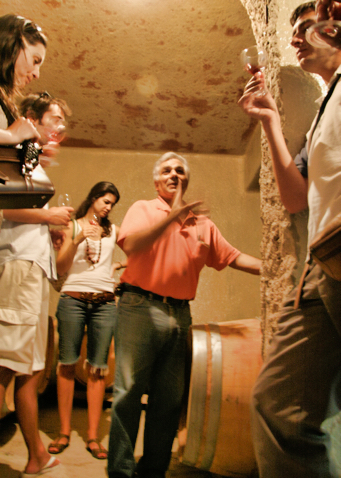 Later we taste wines from one of the oldest operating wineries in Mendoza, Viña Amalia. At yet another, passionate Carmelo Patti details in Spanish the laborious process he goes through to produce his award winning wines. 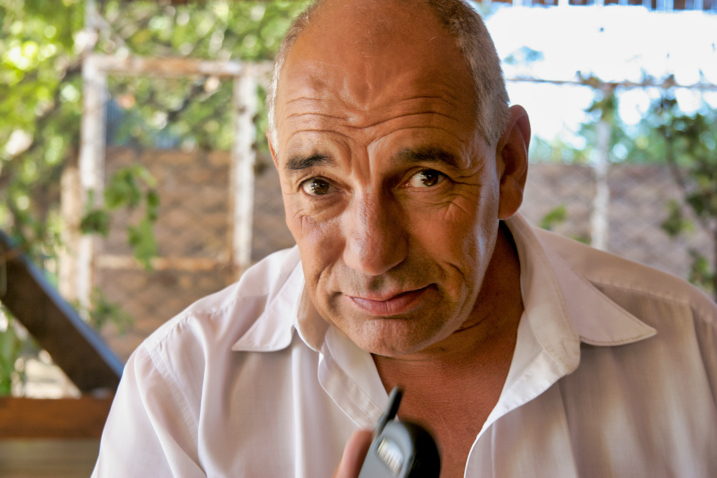 Our driver for the few days touring, tasting and eating, Genero provides fun and fodder when he’s not attending to his three cellular phones. 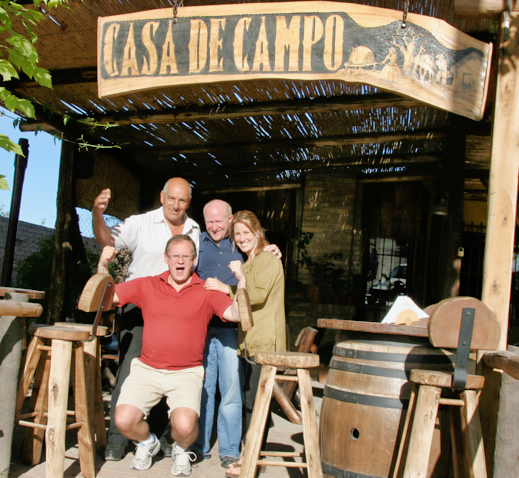 After all that wine we need a good lunch at legendary Casa de Campo outside the city center in Mendoza. Joining Us in Chile. More. More. And More Mendoza.